A new 3-D positioning system that simplifies the setup of cameras and other devices for research, laboratory, process, and packaging applications has been introduced by Stafford Manufacturing Corp. of Wilmington, MA. 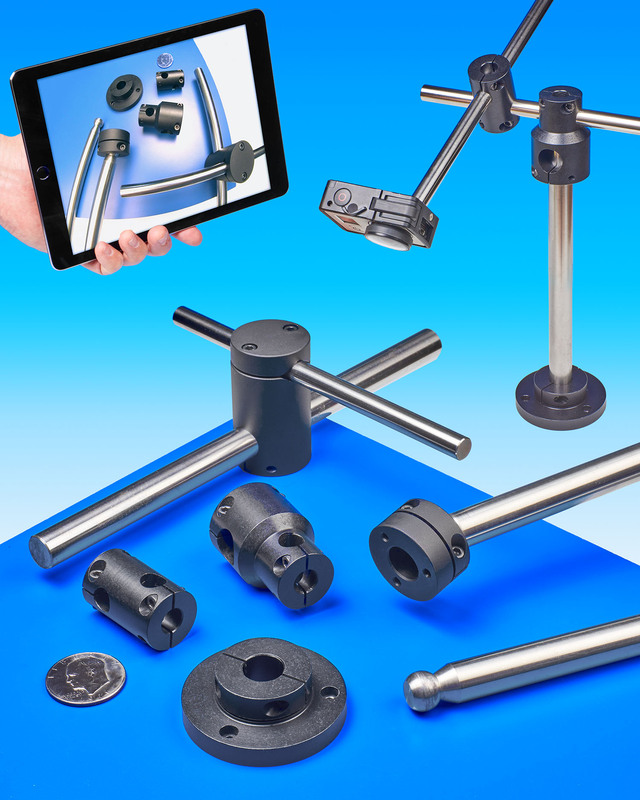 The Stafford 3-D Positioning System consists of a robust group of mounting components, including a base which can securely attach to any flat surface, stepped and straight-through couplings, and precision shafting that can be easily adjusted and locked. Featuring a ball-end shaft and clamp mount accessory with an infinitely adjustable range of motion, this rugged system lets users move, tilt, and swivel to position and lock devices in space. Suitable for developing optical systems, positioning cameras or sealing devices in packaging systems, and many other applications, Stafford’s 3-D Positioning System accepts 1/2”, 3/4”, or 1” shafts that fit stepped and straight-through couplings which can be inserted at 90° or parallel. The shafts accept the tilt-and-swivel mount or other clamps and mounts. The Stafford 3-D Positioning System is priced according to configuration. Price quotations are available upon request.